So it may not be your photos that determine your success on datings apps. The reason someone doesn't choose or in Tinder-speak "swipe right" on you isn't because they don't like your strategically planned out photos but could simply be because of your name. 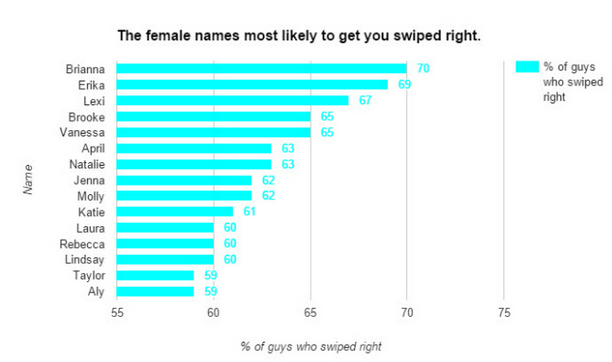 A dating company in the US has determined the most chosen name by researching over 100,000 users. If your name is Brianna, you better quickly sign yourself up to a dating site because you have a 70% success rate of guys who will choose you. 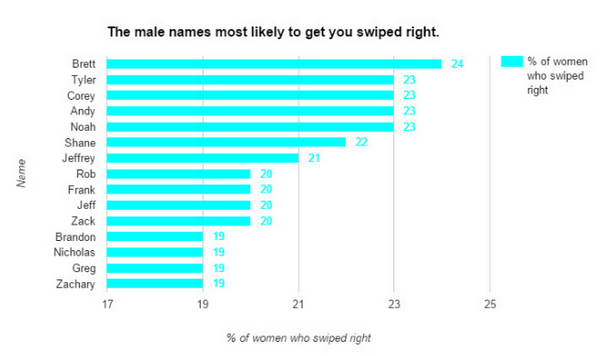 Guys, if your name is Brett than your one of the lucky ones because you're most likely to get a right swipe. VICTORY FOR THE BRETTS! Besides the Brianna's of the world if your name is Erika, Lexi, Brooke, Vanessa, April, Natalie or a Jenna then you are also in luck. 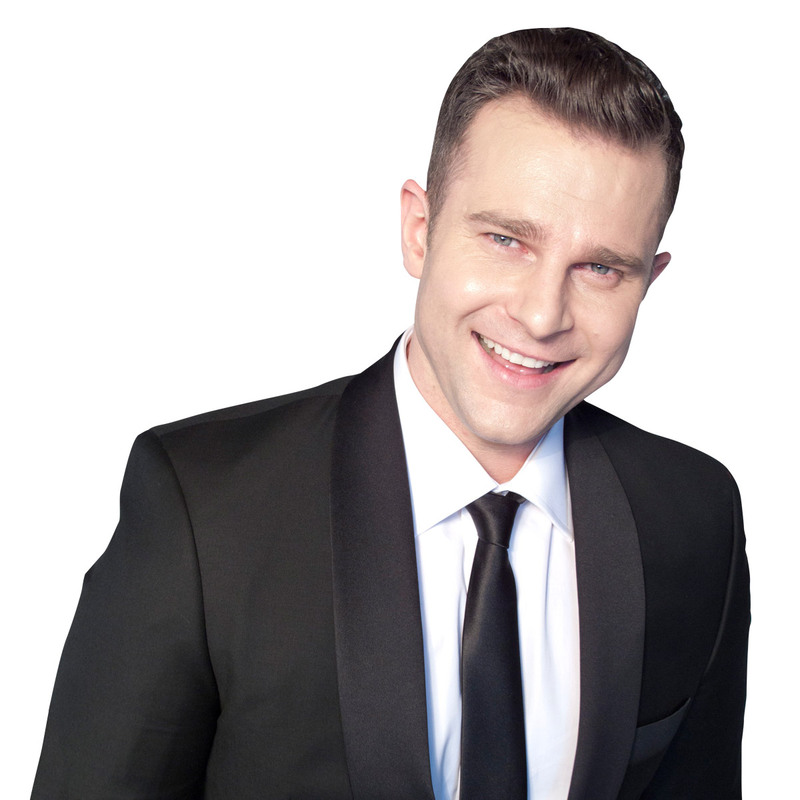 Tyler, Corey, Andy, Noah and the Rob's of the world are all among the most successful male names. Unfortunately for the Tiffany's, Meghan's, Gary's and Jimmy's of the world it's not great news for you. These names have all scored under a 20% success rate. OUCH!!!!!! Well there you go guys! Would you not choose someone based on his or her's name? RELATED: Speaking of love, check out this amazing selfie proposal!